Cruise vacations are a great value, but tipping is not included in the price of your cruise fare. I am here to help you navigate theses confusing waters of cruise tipping with these general guidelines. There is probably no topic more discussed on board among cruise passengers than tipping as it can be very confusing, especially if you have never taken a cruise before. So when do you tip, how much do you tip, and whom do you tip? Many cruise lines recommend about $10-$12 per person per day so let's start with this number as a general guideline. First of all, you must know that no tip is ever required and it is a voluntary expression of thanks. Most cruise lines, however, do not pay the men and women who serve passengers a living wage and pass this salary gap on to their passengers. Your room steward and dining steward are dependent on the generosity of travelers for their livelihood so these gratuities distributed on board a cruise ship are much more than tips. Cruise lines have started placing service charges on shipboard accounts or offering it as a convenience to passengers. They do this for two reasons. First, there is a rising number of continental Europeans traveling on cruise ships who are accustomed to having a service charge added to their bills and it is not in their culture to tip further. Second, passengers are no longer tied to one dining room team of stewards with many dining options and may dine in five or more restaurants on board and be served by a dozen or more stewards d this simplifies "cashless cruising." "Service charge added to shipboard account." "Envelopes and tipping guides available at the Information Center." You may not know this, but it is impossible to tip all the persons in front of and behind the scenes whose efforts enhance your cruise experience. Because tips are technically voluntary, many cruise lines will allow passengers to opt out of the service charge and to tip by themselves. They do this since some passengers consider the service charges too high and they will tip the persons who serve them directly and save money to boot. Tipping the ship personnel is part of the cruise culture so don't bellyache about how much extra it is, just build the tipping expense into the cost of the cruise. Now whether you like it or not, the service charges added to your bar bill on a cruise are here to stay and it is a reasonable attempt to compensate ship employees and to allow cruise passengers increased mobility between bars and restaurants. Tipping is considered one of the ten hidden costs cruises -- like port charges and taxes. 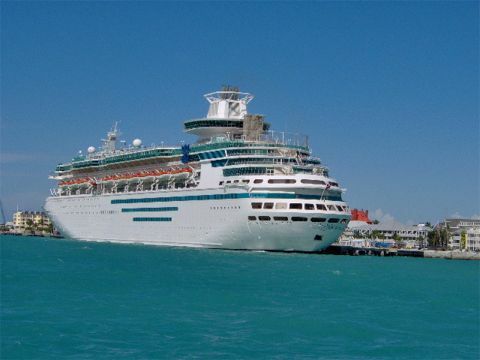 It also allows the cruise lines to keep cruise fares low by shifting part of their costs to the passenger - much like the airlines are now doing with additional luggage fees, charging for pillows and blankets, and items they used to provide for the cost of the airfare. When you're planning cruise vacations, you must add the cost of gratuities that will be charged to your shipboard account when you plan your cruise budget. The tipping guidelines furnished below, will give you an idea of what is reasonable. Most ships have this little cruising ritual down to a science. I like how Royal Caribbean gives me vouchers and envelopes for my pre-paid tips so that I can personally hand them directly to my cabin steward and dining room waiters and stewards so that I can thank them directly for making my cruise special. The following guidelines are provided so that you can evaluate the service charge added to your daily account and determine if you will pay by these guidelines or opt out and tip those of service to you directly. I find having it added to my on board account very convenient and recommend it. Cabin Stewards. Tip cabin stewards $5.00/night, whether you occupy a cabin by yourself or share it. Maitre d's and Table Captains. Tip Maitre d's and/or table captains $1.00 for each night you use the dining room, even if he/she has done nothing more than greet you as they supervise the stewards and busboys, and much of what he/she does is behind the scenes. Dining Room Stewards. Tip dining room stewards $5.00 for each night you dine in the dining room. If you dine in an alternative restaurant, tip the waiter $5.00 in cash on top of the service charge. Dining room stewards usually work in teams of two. Allow the team in an alternative restaurant to divide your tip as they choose. In the main dining room, divide your tip between waiters (equal amounts) or between waiter and assistant waiter (2/3, 1/3), and put each one's name on an envelope. Bartenders. On most ships a bartenders service charge/tip is automatically added to your bill so there is no need to tip additional unless you feel it is warranted. On ships where it isn't added automatically, tip $1.00-$2.00 per drink. Room Service Stewards. Tip room service stewards $2.00/visit. It is no easier to deliver for one than for two, so the tip would be the same for two persons. You should tip in cash each. Shore Excursion Guides & Drivers. For half-day bus excursions, tip the guide $2.00 and $4.00 for a full-day excursion. Don't forget the driver and tip them $1.00 for a half-day excursion and $2.00 for a full-day excursion. Deck Stewards. Tip deck stewards on ships that have reserved deck chairs $2.00/day in an envelope on the last day of the cruise. These are the stewards who tuck you in with a steamer blanket, provide you with tea and move your chair to the sun or shade. Baggage Handlers. Tip baggage handlers $1.00/bag, just as you would a bellman ashore. Also, if you are escorted to your cabin by a steward and will not see them again during the cruise, tip him or her $2.00. Spa Services. If the spa has added a 15-percent gratuity to your bill, you can round the gratuity up (in cash) to between 18-percent and 20-percent if you want to and feel you received good service. Butlers. 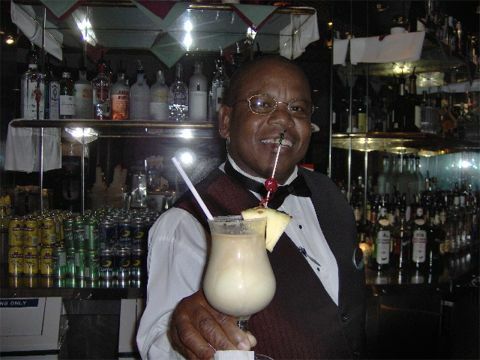 Tip butlers $5.00/night at the end of the cruise for attentive service by butlers who have also served as valets, brought trays of tea or hors d'oeuvres and kept the liquor closet filled. Money is certainly not a substitute for saying thank you and tipping is in addition to your verbal gratitude. One of the nicest ways passengers can say thank you is to mention your room and dining stewards by name in the end-of-cruise questionnaire and every day when you see them. I remember all those wonderful people that I've met on many cruises, provided me with excellent service that made my cruise vacations so memorable and often think of them. I hope my cruise tipping guidelines provide you with the information you need to appropriately appreciate those who serve you on a cruise. Is a Cruise Ship Vacation for You?